. 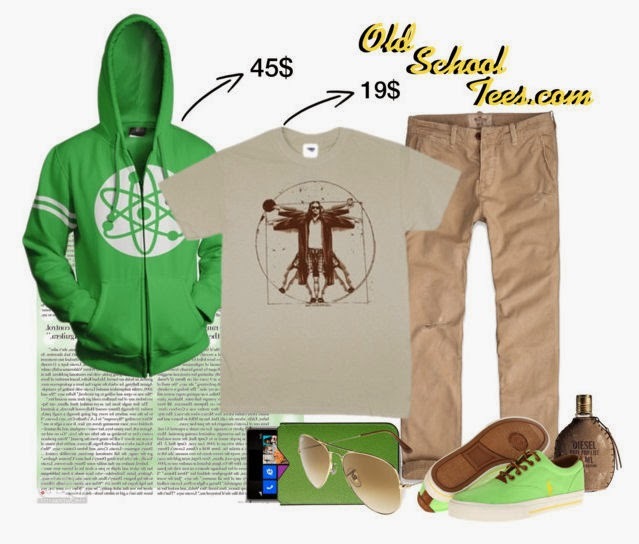 Old School Tees Blog: Put a Cool Tee Shirt at the Center of Your Look! Put a Cool Tee Shirt at the Center of Your Look! At Old School Tees, we sell many t-shirt with great designs and cool messages. These tees are just screaming to be showcased at the center of your outfit! And it can be so much fun to pair them with more fun accessories. Here is a tee with graphics from Maurice Sendak, who illustrated and wrote one of the classics of children's literature, "Where the Wild Things Are." We paired this tee with casual denim, cotton sneakers and a growling bear necklace. If you love animals, you may already have the right accessories to go with this "Lets Get Wild" tee. Summertime is the best time to wear white t-shirts and tanks. And you don't need to be Snow White to pull it off. This Blanche Neige t-shirt adds a little more sophistication to the Disney version of the fairy tale princess. Of course, Snow White dates back to 1812 and the first edition of Grimm's Fairy Tales. In this collection, the Vintage Disney tee is paired with white high top sneakers and shredded denim shorts. You will light up the room in this ensemble. Science and art collide in this great look for spring or fall. At the center of this outfit is the Big Lebowski Vitruvian Man tee. The shirt features a new take on the iconic da Vinci drawing that illustrates how man's proportions are scientifically balanced, and reflects the Renaissance pursuit of mastering both art and science. The hooded cover up is the Big Bang Theory Atom Zipper Hoodie. The green lace up sneakers tie together the whole earth tone look. This look is smart, casual, a little bit preppie. These are are just three different looks to give a few ideas on mixing and matching tees, pants and accessories. I hope you can find a tee shirt to express your individual style and be the centerpiece of creating your unique look!.